It’s muh birthday, you guys! The big 32. Ha. In actuality, I am celebrating the 11th Anniversary of turning 21. Cause, you know, young at heart, or some such nonsense. BIRTHDAY! So yeah, I am getting my party on today, of course, and that includes good eats and yummy drinks. 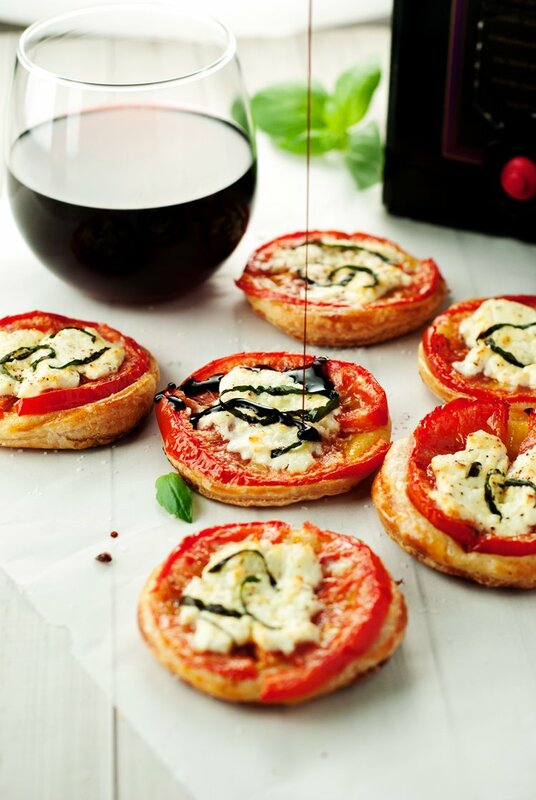 Like these pretty little easy Caprese Tartlets. 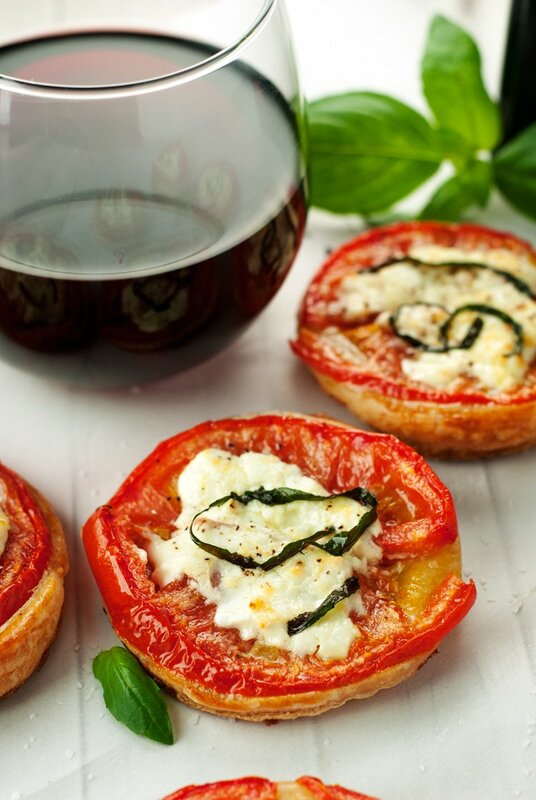 So simple, so delicious, and so perfectly paired with some Black Box Wines. Party on! 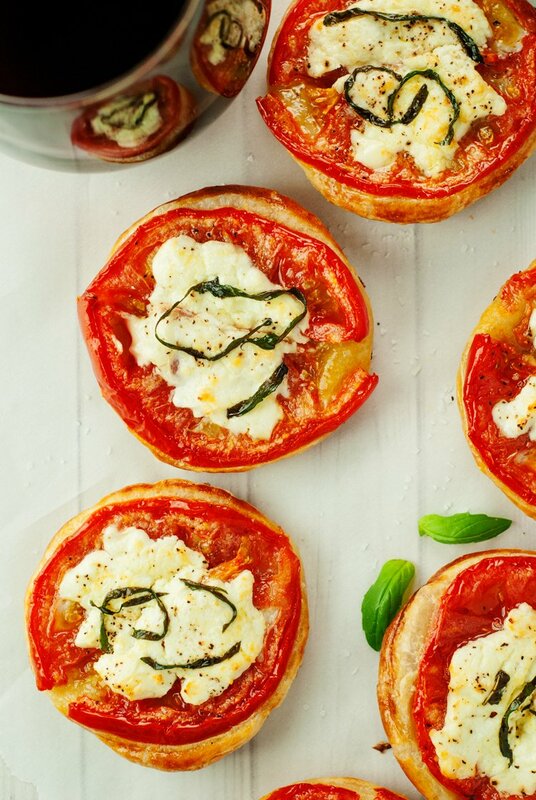 I didn’t go for the traditional route with this easy caprese tartlets, using puff pastry for a base, and soft goat cheese instead of mozzarella. They all bake up very well, which is why I went in that direction. The results are maaaaaaaaaarvelous. I really love that I can bake up a huge pile of these in a hurry so I can party with my friends and family, and if I’m on the go, I make sure to grab my 3 Liter of Black Box Pinot Noir, which has won over 50 Gold Medals for quality, is far cheaper than comparable bottles, and lasts far longer as well, up to 6 weeks! So even if I’m only in the mood for light sipping, I know that my wine will last until the next party…which will be next week, ha! Check out the Simple Entertaining Social Hub for more great entertaining ideas, and be sure to enter the sweepstakes that opens on July 1st! Yay winning! 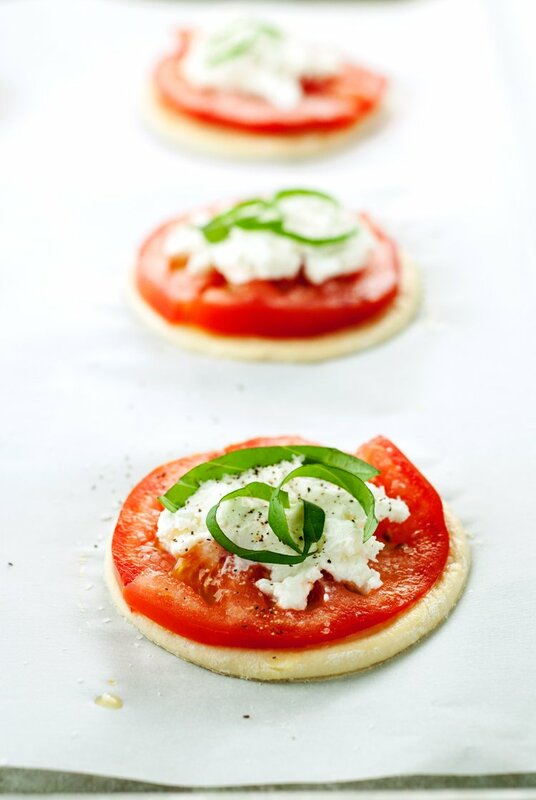 Unfold and flatten the puff pasty, then cut into circles using a a cookie cutter or the edge of a round glass. Place on the baking sheet. In a small bowl, whisk together the egg and water, then brush the tops of the puff pastry with the mixture. 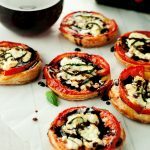 Place a tomato on top of each puff pastry, then add a dollop of goat cheese, a few shreds of fresh basil and a sprinkling of salt and pepper. Bake for 15-20 minutes, or until the pastry is puffy and golden brown and the cheese is melted and golden. 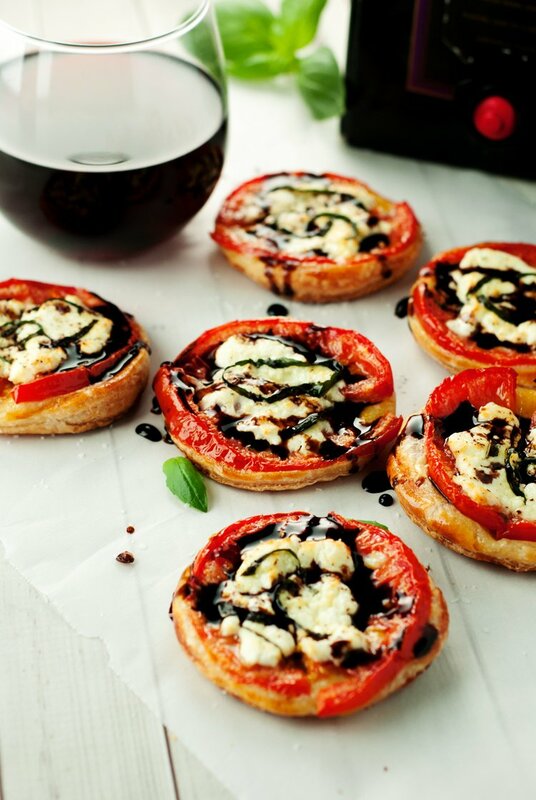 Allow to cool for a few minutes, then drizzle with the balsamic reduction and serve. These look amazing! I love the drizzle video... what app/program/technology did you use to create it? It's a GIF! I made it in photoshop! I was thinking of making something very similar for this weekend's BBQ! Great pictures :) YUM! I was wondering can you make these ahead and freeze?